What Do You Need To Adopt A Child? No one ever said it would be easy! There are many variables that go into trying to adopt a child. These things can vary from paperwork to physical examinations. The home study will be the main component of your adoption. After you have chosen an agency, you will begin the process of gathering everything necessary to move forward in the adoption process. Having an idea of what you might need to get the ball rolling will help you do some of the leg work ahead of time . Hopefully it will also make your journey to adopt a child a little less treacherous! It is no secret that adoption can be quite expensive. One of the first things you will need to gather for your adoption is funding. Depending on the type of adoption, the fees will vary exponentially. Adoption from foster care can be free to a few thousand dollars if using attorney services. Other types of adoption including agency, international, and private can cost anywhere from $8,000-$40,000 or more. There is no hard or fast number to provide regarding the cost. It is important to research the type of adoption you will pursue. Then seek out quotes from various agencies in your area. You can also research grants that you can apply for to aid in the process, as there are numerous opportunities to seek help with funding. Adoption will involve nothing if not mounds of paperwork. The most infamous part of the adoption process is how much paperwork will need to be completed for your home study. An adoption home study, a necessary part of almost every adoption, will involve one to four home visits, interviews, and the gathering of personal paperwork. A lot of this paperwork will be given to you by your adoption agency or attorney. However, it is wise to begin gathering needed documents. This paperwork may include but not be limited to financial paperwork, tax returns for the past one to five years, marriage or divorce decrees, birth certificates, etc. Most agencies will provide you a list of needed documents to aid you in your gathering of this vital information. Inspecting your financials allows the agency to make sure that you can afford the costs of taking on a child. You do not have to be rich to adopt! The agency simply wants to make sure the cost of raising a child will not become too much financially. The home study will also involve extensive checks into your background such as child services history (including any events that involved yourself and your parents), fingerprint background checks, personal referrals, and a general autobiography that may be in book form that you create for the agency. The agency may also require education in the form of classes. You may have books to read on adoption that will prepare you to raise a child who has experienced adoption. The agency will lay out for you the requirements as these components may differ agency to agency. You may also need a record of a current physical exam by a licensed physician for everyone in your household. This is to ensure that there are no extreme health issues present that would severely hinder your ability to raise a child. The home study will also require a study of your home. The purpose is to make sure you live in an environment conducive to raising a child. Also, the assessor may check for proper storage of medicine and weapons. They will also make sure that the child will have a safe and sufficient sleeping area. The assessor is not looking for excess or perfection, but simply a home that is safe, sound, and secure for the child. Your agency or local child protective agency may provide you with a copy of a checklist you can walk through to be sure you have everything needed in your home and information of what things need to change to ready your home. Aside from the home study, much of the adoption process is less preparation and more a waiting game. Making sure that you are prepared for the home study is the best way to expedite the process. 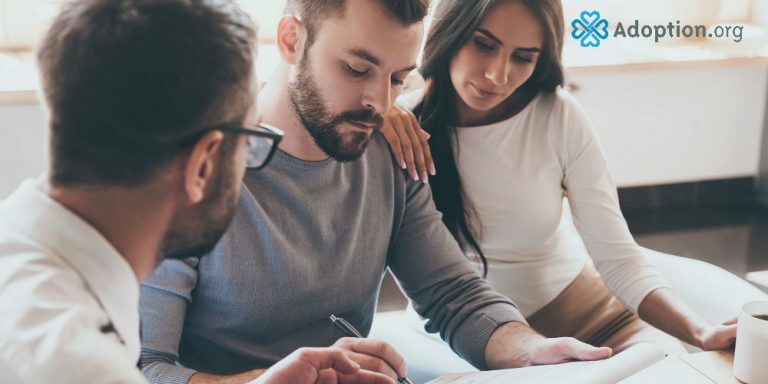 Gathering important documents and getting you agency everything they request in a timely manner will make the process run much more smoothly than if you have to seek out documents when you are already far into the process. Get your process on the right track by seeking out a list of everything you will need to begin your adoption journey. To find out more and hear stories from others have gone through the process, be sure to join in the community at adoption.com and take time to read through the many articles offering further insight into the adoption journey. To look at adoption photolistings, visit adoption.com/photolisting.